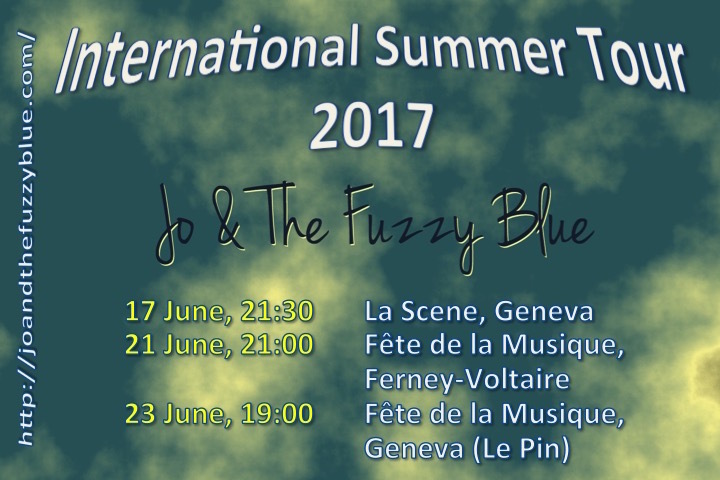 Jo & The Fuzzy Blue will emark on its first international summer tour in the month of June 2017! Saturday, June 17th, 2017, 21:30! 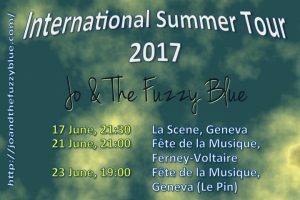 Then over to France, for the Fête de la Musique in Ferney Voltaire! Wednesday, June 21st, 2017, 21:00! Then back to Switzerand, for the Fête de la Musique in Geneva! Friday, June 23rd, 2017, 19:00! ← Previous post:The 15 min of Fame are here again! Dec 9th, 2016, Paddy’s Pub Ferney!